Jane Grigson (1928-1990) is one of twentieth-century Britain’s finest writers on recipes and food and the author of a clutch of celebrated cookbooks, including English Food (1974) and Jane Grigson’s Vegetable Book (1978) which remain among the best of their kind today. Described by her contemporary and friend Elizabeth David as “always entertaining as well as informative… a writer who could combine a delightful quote from Chaucer on the subject of a pike galantine with a careful recipe for a modern chicken and pork version of the same ancient dish, and who could do so without pedantry or a hint of preciousness” her successor on the Observer food pages, Nigel Slater, has written “I will never be a match for her – I’m not sure anyone could be”. Born in Gloucester and brought up in Sunderland (hence the notable enthusiasm for north-eastern specialists like Singing Hinnies and Leek Pudding in English Food), she was evacuated to Cumbria during the Second World War, and from there won a place to read English Literature at Newnham College, Cambridge. After university she lived for three months in Florence, and later spent ten years as an Italian translator, sharing with Father Kenelm Foster the John Florio Prize in 1966, for the translation of Beccaria’s Of Crimes and Punishment. Before this, however, Jane worked in a succession of art galleries and publishing houses, reflecting the broad interests that are immediately apparent in her food writing – as Diana Henry has noted, “she was scholarly and literary and she understood that food was more than just food, it was about memory, the imagination, stories, history. It was connected to everything.” It was while employed as a picture researcher on Thames & Hudson’s encyclopaedic People, Places, Things and Ideas that she met, and fell in love with the book’s editor, the author and poet Geoffrey Grigson. They enjoyed a famously happy marriage until his death in 1985 at the age of 80, and, along with their daughter Sophie, divided their time between a farmhouse in Broad Town in Wiltshire and a ‘cave-cottage’ in Troo in France’s Loire Valley. It was in Troo that Jane’s interest in food and cooking deepened, and the stories that recipes can tell, deepened, whetted by her new neighbours, and she began working on a book with a friend, Adey Horton, eventually published in 1967, after Adey withdrew from the project, as Charcuterie and French Pork Cookery. It was an immediate success, winning plaudits from the likes of David, who recommended her to the Observer as their food columnist, a position she held for 22 years. 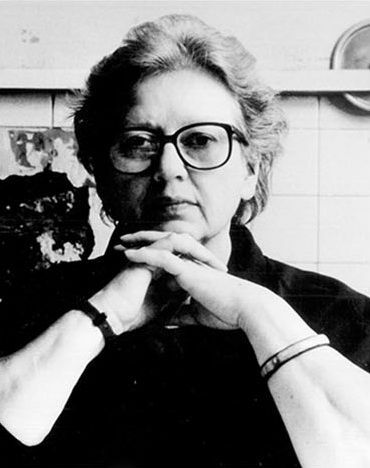 Jane’s long association with the newspaper led to some of her most popular titles: Good Things (1971), Food with the Famous (1979), The Observer Guide to British Cookery (1984) and The Observer Guide to European Cookery (1983). For her Vegetable Book (1978) and her Fruit Book (1982), Jane received both the Glenfiddich Writer of the Year Award and the Andre Simon Memorial Fund Book Award. Jane’s other works include Fish Cookery (1973), English Food (1974), and The Mushroom Feast (1975). Jane was an early campaigner for animal welfare, cautioning readers against the evils of battery farming and taking an interest in provenance far ahead of her time. Both she and Geoffrey were passionately interested in rural affairs and history, yet she wasn’t afraid to look further afield for inspiration as readers of her encyclopaedic Fruit and Vegetable books in particular will appreciate – her 1971 work, Good Things, contains a particularly avant-garde recipe for sushi with sweet beans, and though she called cookery “an act of continual plagiarism”, she can be credited with the invention of at least one modern classic, Curried Parsnip Soup. Jane Grigson died of cancer at Broad Town on the eve of her 62nd birthday in 1990. A detailed bibliography of Jane’s work appears in Issue 38 of Petits Propos Culinaires, the journal published by Prospect Books. A copy of Issue 38 is held in the Jane Grigson Trust Library at Oxford Brookes University.